These days, the lines are blurring regarding what counts as a “movie” and what doesn’t. Releases that clearly would have been feature films in years past are now being given a little more room to breathe and are being put out as “limited series” on the various streaming services. One stellar example of this is the new Netflix show “Russian Doll.” It’s a tidy eight episodes of 30-ish minutes each and stars Natasha Lyonne as Nadia, a woman who’s just turned 36, gets hit and killed by a car, and awakens to find herself reliving the same night over and over. Of course you’ve seen this basic premise before, almost certainly with Bill Murray in Groundhog Day. And yeah, it’s a narrative gimmick. But in this case, it’s used exceptionally well—a lot of stories that have tried this don’t really seem to know where they’re headed, but “Russian Doll” absolutely does. The time loop conceit isn’t just a way for Nadia to have an adventure or solve a mystery, but instead it offers a deep examination of the far-reaching effects of childhood trauma, mental illness, the soul-annihilating drudgery of depression, and the healing power of compassion. We’re able to see Nadia change even as everything around her remains the same. Well, for a while. 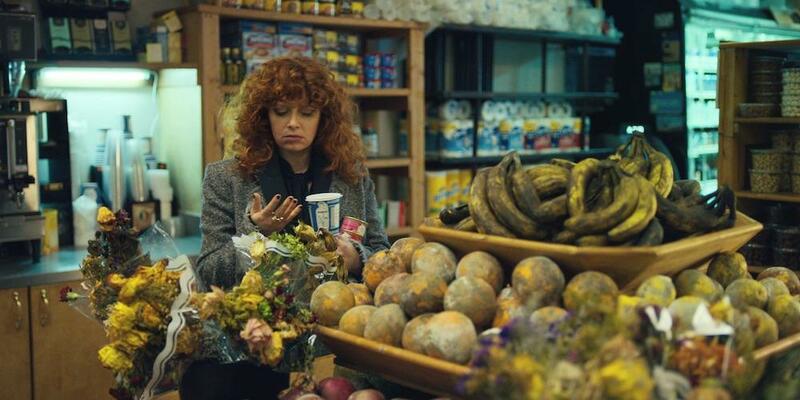 The show is clever and sarcastic and wildly inventive, and it’s wonderful to see Natasha Lyonne—she’s brash and outwardly self-confident but obviously also protecting herself from past and future psychological damage. “Russian Doll” ends at just the right place—it’s incredibly satisfying and, I admit, even gave me a few tears in my eyes. Had it been a theater release at half the length, we couldn’t have gotten to that place in nearly the same way or with the same weight. Our world of movies is changing, and we should feel lucky that now we’re able to let our stories be exactly as long as they need to be.